Purell is America's #1 hand sanitizer for a reason! This Advanced Purell Hand Sanitizer 8 oz bottle is specially formulated to meet all of your hand sanitizing needs, whether you want to sanitize hands before eating or after contact with high-traffic touch points. 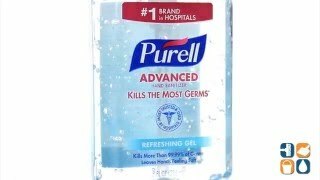 Dermatologist tested for effective hand sanitizing, Purell contains 70% ethyl alcohol, killing 99.99% of the most common germs that can cause illness. And it works in as little as 15 seconds without needing water or towels. This 8-oz. pump bottle is the ideal size to keep on desks, counter tops, reception areas, kitchens and breakrooms, but small enough to throw in your backpack, glove compartment or diaper bag. Purell Advanced is enhanced with added moisturizers and skin conditioners, to help keep hands hydrated and maintain skin health, even after repeated use. Purell hand sanitizer pump bottles contain PET and are completely recyclable, so you can feel good about protecting the planet when you purchase this hand sanitizer. Purell Hand Sanitizer also meets FDA healthcare personnel hand-washing requirements. 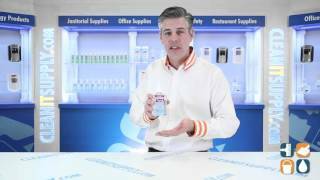 Stock up on Purell Advanced Instant Hand Sanitizer pump bottles today!